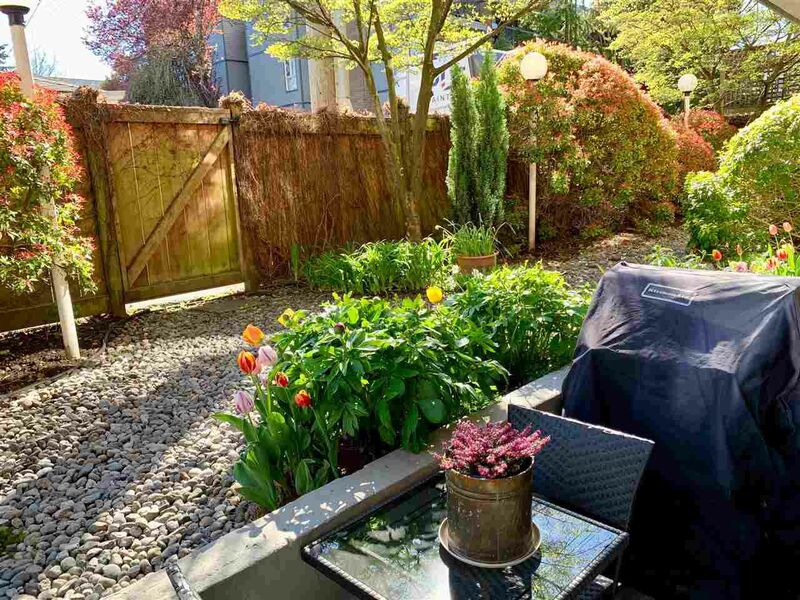 简介: Spacious and renovated townhome-style 1 bedroom on the quiet, sunny side of rainscreened The Oaks! As soon as you walk in it feels like a home, offering a great layout including that coveted kitchen window, cozy gas fireplace, real laundry room, and private patio overlooking fenced common garden. Many tasteful updates including new bathroom, new kitchen (except appliances), new high efficiency gas fireplace and all flooring including wool carpet, along with new hot water tank. Pets are allowed in this community oriented complex, rentals are limited to 5. 1 parking stall, and 4 visitor parking. Fabulous location with easy access to shopping, restaurants, transit & parks!